This is the thrilling story of a C-47 Skytrain which flew over Normandy and during Operation Market Garden in World War II. 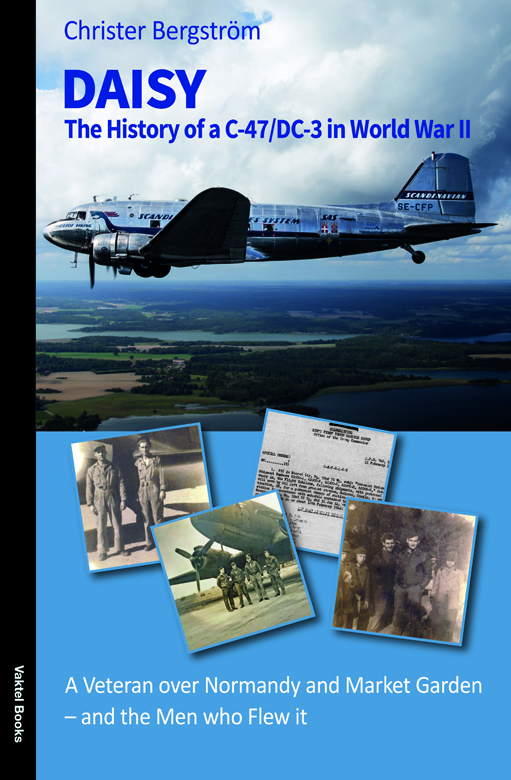 The book also goes into detail with the men who flew it, and what they experienced during the war. Called ”Daisy,” the aircraft still flies, owned by a Swedish organization, and takes part in the parachute drop over Normandy on the 75th Anniversary. See the Swedish edition of Daisy (published in 2018) here. To be published in May 2019. Distributed in the UK and worldwide by Gazelle. In the USA via Ingram.